The Gray Wolf. One of nature's smartest and most feared predators. 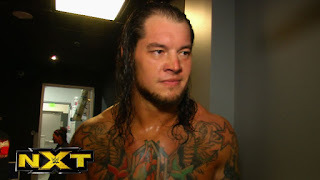 A strategic animal with bite as mean as a shoulder block, the 6'8 Leviathan known as Baron Corbin. Similar to how the gray wolf has been able to adapt to changing surroundings in order to hunt larger prey, WWE's resident "Lone Wolf" has made many changes to become a successful superstar. Corbin's road started with boxing where he became a 2 Time Amateur Golden Gloves winner. 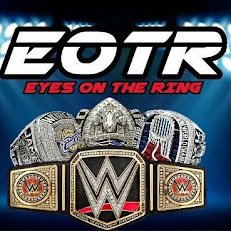 He moved on amd continued his career with football as has been repeated multiple times on NXT Television. He was an offensive linemen for the Indianapolis Colts and the Arizona Cardinals. He had little success in either place. In 2012, he joined NXT but was used sparingly, often times as an enhancement talent. In the Fall of 2014, Corbin returned a new man, repackaged as NXT's resident Lone Wolf. He made his re-debut in a squash match against CJ Parker at one of NXT's best events of the year, TakeOver: Fatal-4-Way. Then Corbin began to pile up the wins. Squash match after squash match. Week in and week out. The fans loved it. They cheered and even counted the seconds it took for Corbin to hit his signature "End of Days" finishing move. Baron Corbin was a young potential star unfolding before the eyes of the NXT faithful. He ran through NXT's other behemoth, Bull Dempsey. Dempsey in return cost Corbin his chance to win the NXT Championship, a loss to Adrian Neville. He would then defeat Dempsey again. Fast forward a few months, and Corbin is still crushing everything in his way. Then his act became stale. The crowd at Full Sail University turned on him instantly. Every time he walked out he was booed, whichever led Corbin to do what he had done his entire life. Adapt. As a heel he had been showing improvement in the ring, putting on solid matches with Rhyno and Samoa Joe. The Dusty Rhodes Tag Team Classic became a make or break point for Corbin. Teaming with Rhyno, they went on to defeat the Ascension and indie sensations Johnny Gargano and Tommaso Ciampa in the first 2 rounds. At TakeOver: Respect, they put on what may have been the match of the night with Jason Jordan and Chad Gable. What impressed me most is Baron had displayed his improved grappling skills working with two skilled opponents who specialize in mat wrestling. Corbin's star was shining as bright as it had ever been. In the finals, they faced off with NXT Champion Finn Bálor and former rival Samoa Joe. I thought this was the perfect time to push Corbin as a top heel. He had been on a hot streak and performed one of the best matches of his career just 1 or 2 hours earlier. What did Bálor and Joe have to gain from this? The answer was nothing. Joe and Bálor won the match, but by the end of the night Corbin looked every part of the future of NXT. I don't wanna go in depth with his short rivalries with Austin Aries and Apollo Crews at the moment, but I want to focus on Corbin's character improvement. Corbin has come a very long way from where he was in 2014. I think he has really found his niche with the anti-indie gimmick. Like Jason Albert said "Corbin has to find out how to generate heat now that he's made the turn". Then Corbin did it. Claiming that NXT was his and they (Indie stars) needed to go back to where they came from, generated him the most heat he's seen in his career. He's been cutting his best promos and putting on consistent solid performances. Which is a pleasant surprise considering all he knew how to do was 13 second squash matches 2 years ago. 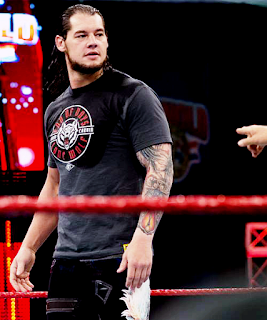 Baron Corbin not mine favorite, people also loving Baron Corbin too. I think he would win this royal rumble of 2017 on 29 January. 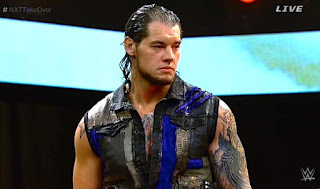 I love his wolf vest but recently i saw his another vest you should check this WWE Baron Corbin Vest Post. There are two ways of aligning the rest. My preferred method is to refletch the arrow, setting the jig to align the fletching to the best broadheads.